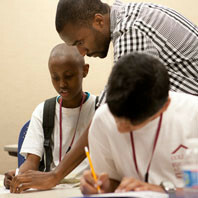 Steppingstone Alumni influence communities all across the world. Ifeanyi Anidi ’96 graduated from Johns Hopkins with his MD/PhD and started his residency in internal medicine at the Hospital of UPenn. Elisa Cheng ’03 graduated from Northeastern’s dual-degree program with a bachelor’s and master’s degree in electrical engineering. She is now working as an electrical engineer at Jacobs Global Buildings Design Division. Tiye Cort ’00 received her M.A. in teaching from Emmanuel College, and was the commencement speaker. Tiye worked as an English teacher with The Steppingstone Academy over the summer and is now teaching 10th and 11th grade at Dublin School. Stephanie Crawford ’99 was featured in an article in The Boston Globe about first-year teachers. Stephanie teaches second- and third-grade students at Josiah Quincy Elementary School in Chinatown. 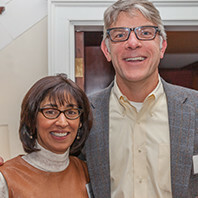 Ivan DeJesus ’92 was recently promoted to senior control specialist at John Hancock Financial Network in their Annuities group. Dr. Alicia Genisca ’93 moved from Ethiopia to Colombia, where she continues her work with the Baylor Global Health Corps. In Colombia, she focuses primarily on decreasing infant and under five- year-old morbidity and mortality in the La Guajira region of the country. Shaina Gilbert ’00 founded Empowering Through Education (ETE) in 2009 to serve children in Hinche, Haiti, her mother’s hometown. The summer leadership camp helps motivated students strengthen their academic and social-emotional skills, and is committed to preparing the most vulnerable youth in Haiti for future leadership. 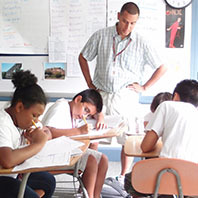 Shaina’s sister, Gabriella Gilbert ’06, also devotes her summers to teaching with the program. Takiyah Gray ’96 returned to the United States after teaching English in Thailand and Vietnam for two years. She now lives in Chicago and works at LinkedIn. 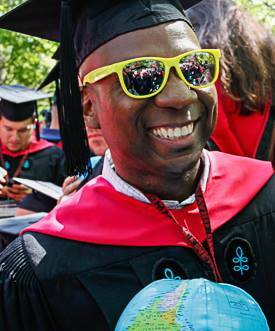 Marcus Haymon ’95 received a joint MBA from MIT and MPA from Harvard University. Marcus is now living in Washington, D.C., where he works for Dalberg Global Development Advisors. 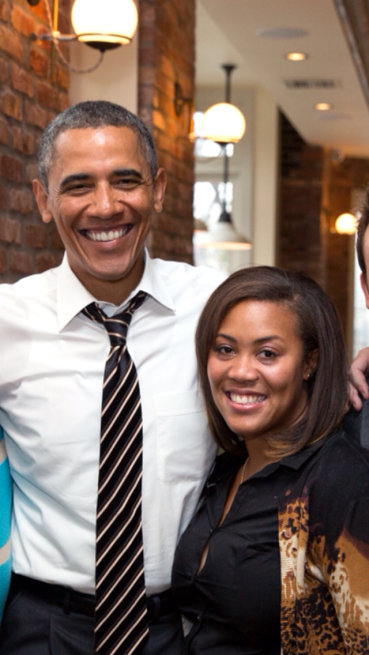 Jasmine Hicks ’00 was invited to dine with President Obama and a small group of young professionals at a local cafe where they discussed how to get more young people to sign up for the Affordable Care Act. Their meeting was featured in The Atlantic. 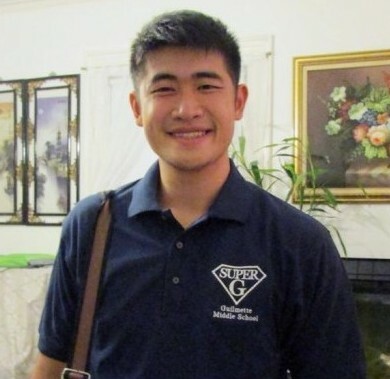 Jon Huang ’03 is working with Teach for America as a middle school math teacher, and will be obtaining his master’s in teaching from Boston University. Joy Kogut ’96 is supporting students with diverse needs at Boston Community Leadership Academy, and coaching academic teachers on how to adapt content for these students. Nikolas Medrano ’03 recently graduated from Dartmouth College and moved to San Francisco to work in people operations at Box, a cloud collaboration technology company. Amity Paye ’01 is currently the web editor for the New York Amsterdam News. She also freelances as a reporter for publications such as The National, The Root, and DNA Info. 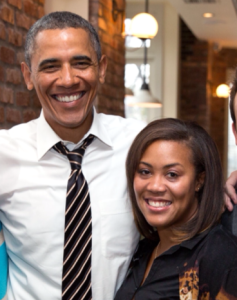 In addition, she recently became vice president of print for the New York Association of Black Journalists. 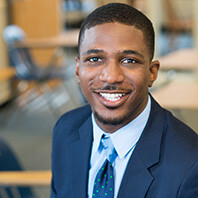 Darian Reid-Sturgis ’99 joined the Headmaster’s Council and was installed as the John P. Brennan Chairholder in Classics at The Roxbury Latin School. Darian was also featured on TV in an NECN segment about Steppingstone. Moriah Smith ’02 taught English in Brazil as a Fulbright Scholar. Candace Taylor ’03 conducted research in Nicaragua as a Fulbright Scholar. Nelson Tamayo ’05 was awarded a prestigious Fulbright Scholarship to teach English at a university in Coimbra, Portugal. Ying Wang ’02 was selected by the Massachusetts Bar Association to receive the Oliver Wendell Holmes Jr. Scholarship. If you have an update you’d like to share with the Steppingstone community, please contact Lee Englert at 617-423-6300 ext. 226 or lenglert@tsf.org.